comprised of former Law Enforcement, Security, and Legal Professionals. The associates of V.I.P. Investigative Services of Western NY are Buffalo private investigators providing the area with a full service, comprehensive investigative company. V.I.P is comprised of former Law Enforcement, Security, and Legal Professionals. V.I.P. Investigative Services consists of qualified Buffalo NY private detectives offering a wide range of investigative services in Buffalo NY and the surrounding areas of Western New York. Our private detectives are committed to their professionalism and work intensely to provide the highest quality investigative services. With years of experience and close ties to The Buffalo Police Department and other related organizations, we at V.I.P. Investigative Services offer credible and effective assistance. Our services extend to the areas of, pre-employment, background investigations, white collar crime investigations, fraud embezzlement, workers compensation investigations, domestic investigations, executive protection, missing persons, personal security, body guards, insurance investigations and much more. V.I.P.’s staff consists are members of various Professional Organizations including the National Association of Legal Investigators (NALI), The Self Insured Association of the Niagara Frontier, The Greater Buffalo Partnership, The National Association of Investigative Specialists, The Erie Judges and Police Executive Conference, and the National Computer Security Association. 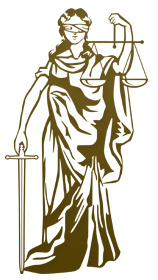 Our staff of investigators maintains an active role in these organizations so that we may not only keep abreast the latest legislation and techniques affecting our industry. Most importantly, we keep these roles so that we may pass this information along to our clients by way of briefing and training seminars. Our clients are important to us, and we work diligently to offer them the best in quality private investigation services. V.I.P. Investigative Services serves all of Western NY including Buffalo NY, Erie County, Niagara County, Orleans County, Wyoming County, Genesee, Cattaraugus, Chautauqua and Allegany Counties. Also serving Niagara Falls and the Niagara Frontier.